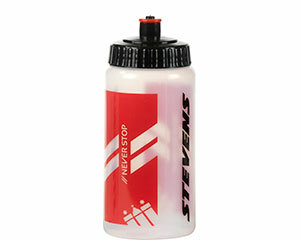 From head to toe – for all kinds of STEVENS bikes: STEVENS bike wear not only fits you, it also matches your road, mountain or trekking bike – in colour and function. 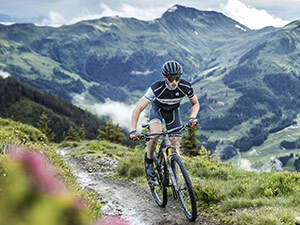 Jerseys and pants are “Made in Italy” by Santini and for decades have been boasting great fit and perfect pads. 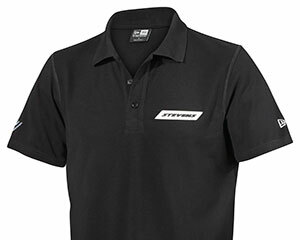 As suitable for everyday use as STEVENS’ trekking and city bikes is STEVENS casual wear line. And “Bags & Parts” really come in handy for everyday cycling. 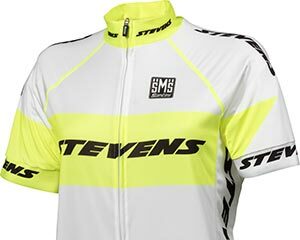 These shorts and jerseys are worn by the male and female racers of the STEVENS Racing Team at 'cross and road races, on the courses of mountainbike races and marathons. You can, too. 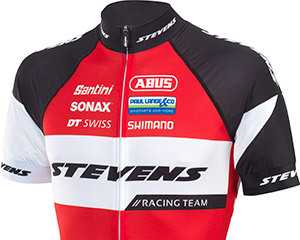 The jerseys and pants from the new Equipe Collection (high-quality, made by Santini) turn STEVENS riders and their bikes not only into one technical but also into one single fashionable unit. In four colour combinations for the whole year from head to toe. 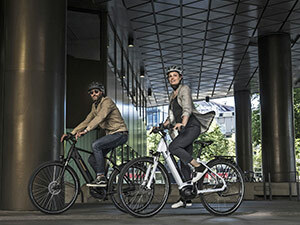 Riding your STEVENS trekking or city bike you will also feel good in our new casual wear line. 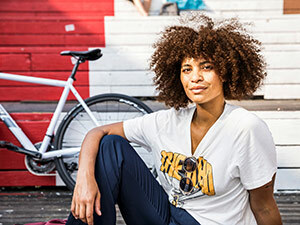 Softshell jackets, t-shirts, sweatshirts and hoodies are available in - typical for STEVENS - "Northern German Colourful" and many sizes. 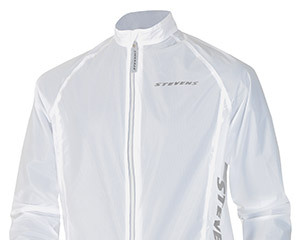 Everything for your bike tour that is useful and also looks good: this amazingly light rain jacket fits in every pocket where it's hardly noticable - yet our socks and caps are real eye-catchers! When touring and travelling these accessories love to come in handy: travel bags, bottles and mini tools deliver convincing form and function. With fenders and pannier racks you can turn your bike into a workhorse for everyday use.